Howdy! It's Monday here in my neck of the woods and I'm happy to be starting off my week with something exciting. A few weeks ago I won the Global Design Project color challenge and was given the honor of guest designing with the GDP team for today's color challenge. What a treat! 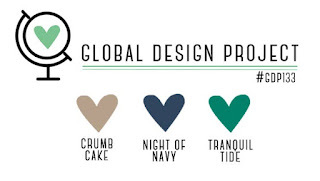 Today's color challenge is Crumb Cake, Night of Navy and Tranquil Tide. I pulled out my inks, my aqua painter, my Blends, Stamparatus and the Message in a Bottle stamp set and I got to work. I used my Stamparatus to perfectly position the love notes inside of the bottle and stamped it on Shimmery White cardstock. Then I used my aqua painter and Night of Navy and Crumb Cake inks to watercolor the image. I also watercolored the background using Night of Navy and Tranquil Tide on watercolor paper. I added multiple layers of light color washes in order to get the soft, blended look. I used my Night of Navy Blends (light marker) to flick some ink onto my background. I also used the marker to color some silver foil blue so that it would match my project (this is such an awesome use for Blends!). If you look closely at my background you can see that I've use my Crumb Cake Blends to add some spatter to my card base as well. Here's a close up of the bottle and all of the fun layers behind it. 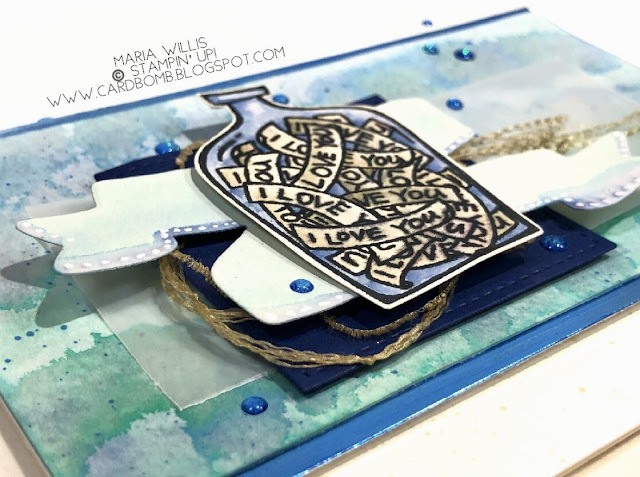 I used a die cut banner (Bunch of Banners Framelits Dies) cut from Shimmery White paper and gave it a light watercolor wash with a mix of Tranquil Tide and Night of Navy. These colors make such a pretty new color when blended. When the banner was dry I went back in and added some detail in Night of Navy then added some dots with a white gel pen. That's all layered on top of some shredded and coiled Crumb Cake Ribbon, a square of Night of Navy and a vellum strip. I added some Glitter & Clear Epoxy Shapes that I had colored with Night of Navy Blends and called this card done! Thanks for checking out my card today! If you're up for some more color inspiration please head on over to check out #GDP133 and see what the design team has cooked up for today's challenge. If you've got a great idea for this color combo you can join the challenge and share your own project by entering it over at the GDP Challenge Blog. 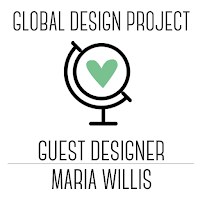 Thanks for having me on the blog for such an awesome challenge today GDP! I hope you all have an amazing day and I'll see you back here soon. As always, if you have questions, comments or need help making a purchase from my store please feel free to message me as I love hearing from you. You can leave me a comment below or send me an email. 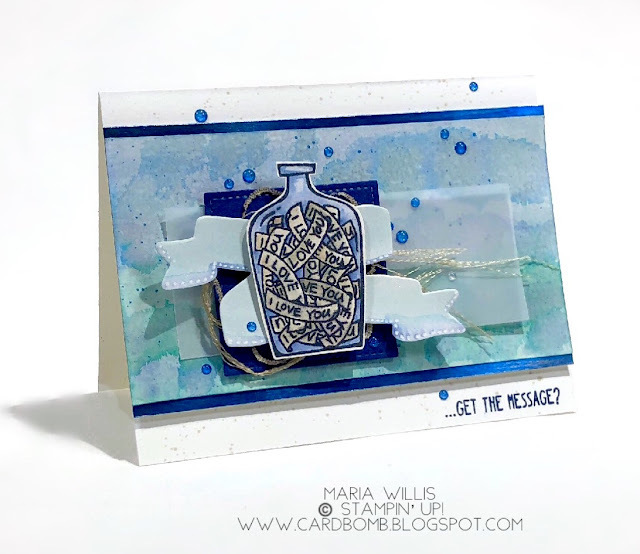 Labels: #cardbomb, #cards, #creative, #gdp133, #ink, #messageinabottle, #paper, #papercraft, #stamping, #stampinup, #stamps, #watercolor, Message In a Bottle, Stampin' Up! Simon Says Stamps Texture Challenge!